Quik Chop prepares the best of Nigerian street food and delivers to you hot and spicy. Pre-Order Breakfast Packs a day before & Combo Packs before 9am. They also cater events. 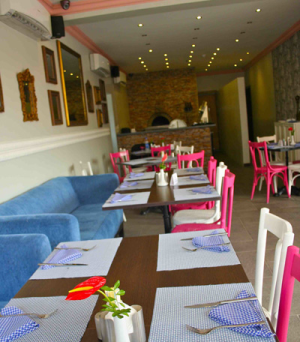 Vanilla Bake House is a cute dessert bar and cafe that has dedicated its service to offering Lagos the best cinnamon rolls, doughnuts, and cakes! 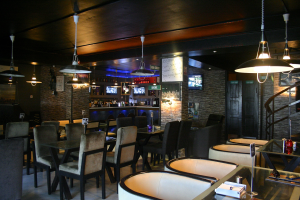 Bourbon House Cafe provides food with high-quality taste, through a uniformed preparatory method. Spoon Catering NG is a boutique catering company. 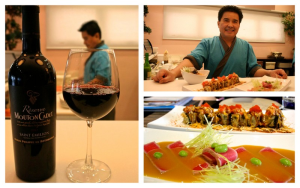 They offer amazing manapes, canapes, bowl food, platters, and they also have a private dining room. Cold Cravings is a contemporary mobile ice cream van located in Lagos. They have Ice Cream, Milkshakes, Waffles, Doughnuts and Popcorn for birthday parties and other events! 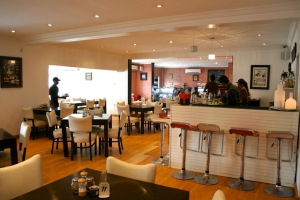 Burgers 'N' Shakes is an American orientated restaurant located in Surulere. They offer good burgers, shakes as well as juice and smoothies. 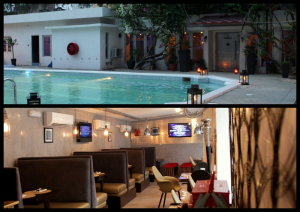 Kohinoor Lounge serves the finest Indian dishes in Lagos. Their vibrant signature dishes are prepared with fresh ingredients and spices that have delighted patrons from around the world. The Barbeque Palace specializes in BBQ Chicken, Turkey, Grill Fish, Gizzard and Asun. They also deliver value to customers. Bolívar is an intimate and exotic fusion waterside lounge with a Caribbean twist and rustic vibe. Celebrating art, culture and good times.